Harmonix Blog: DLC Week of 3/28: Dance Gavin Dance, Pierce The Veil, and The Word Alive! DLC Week of 3/28: Dance Gavin Dance, Pierce The Veil, and The Word Alive! It’s hard and heavy this week as signature songs from Dance Gavin Dance, Pierce the Veil, and The Word Alive come to Rock Band 4! Our first release this week, "Lemon Meringue Tie" from Dance Gavin Dance, comes from the group’s debut album Downtown Battle Mountain. Rising from the ashes of several bands, Dance Gavin Dance released their debut album in 2007 to critical acclaim. Their unique mix of musical styles showcased their individual skills as instrumentalists. "Lemon Meringue Tie" has become a live favorite and has frequently been the band’s encore song of choice. All instruments are a challenge - guitars are particularly tough in this one. There’s a grinding, chunky breakdown where you can catch your breath before diving into the intense finale. "Caraphernelia" from Pierce the Veil is the third track from the Southern California-based band to join the Rock Band 4 DLC library. Brothers Vic & Mike Fuentes formed Pierce the Veil in 2006 and released their debut album the following year. By the time their sophomore effort, Selfish Machine, was released in 2010, the band had built up a sizable following. The album reached #1 on the Billboard Heatseekers Chart and was followed by a lengthy tour to promote the album. "Caraphernelia", written about Fuentes' ex-girlfriend, was the first single released from Selfish Machine and features a special guest appearance from Jeremy McKinnon of A Day To Remember. The song includes some very difficult drum parts and a fun breakdown midway through. 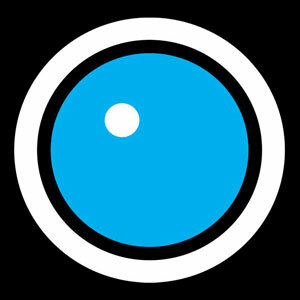 It’s a genre-defying track with several styles to keep you on your toes. Our late-'00s musical journey ends this week with "Battle Royale", the debut single from The Word Alive. Taken from their 2009 EP, Empire, "Battle Royale" announced the arrival of a fresh, new face on the scene. The EP received critical acclaim and the band hit the road constantly to support the release and build anticipation for Deceiver, their first full-length album. "Battle Royale" became such a favorite on tour that the band re-recorded it for Deceiver. "Battle Royale" is filled with relentless aggression and is especially challenging on guitars. This speedy, devil-tier song is a challenging one, with frantic and intricate string melodies. Singers will have fun with the mix of screaming talkies and emotional vocal melodies. Songs can be purchased individually for $1.99. 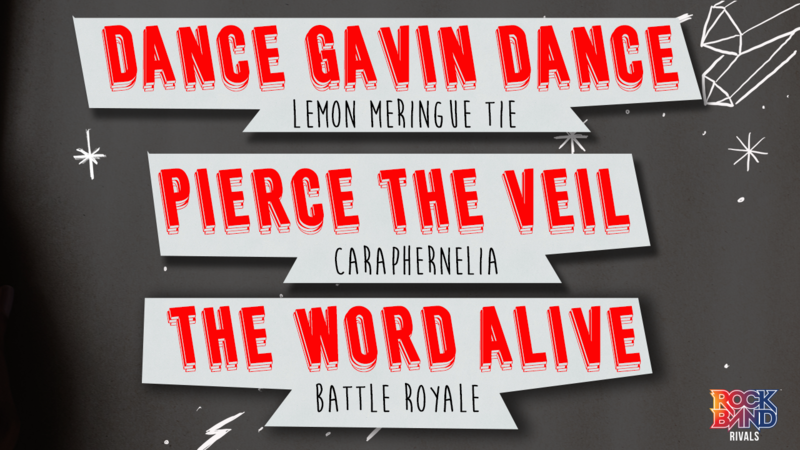 Dance Gavin Dance - "Lemon Meringue Tie"
Pierce The Veil - "Caraphernelia"
The Word Alive - "Battle Royale"
VIDEO: Rock Band 4 DLC Week of 3/28: Dance Gavin Dance, Pierce The Veil, and The Word Alive! * Please note that this week’s DLC tracks will be available for purchase on Thursday, March 28th.